SAT. 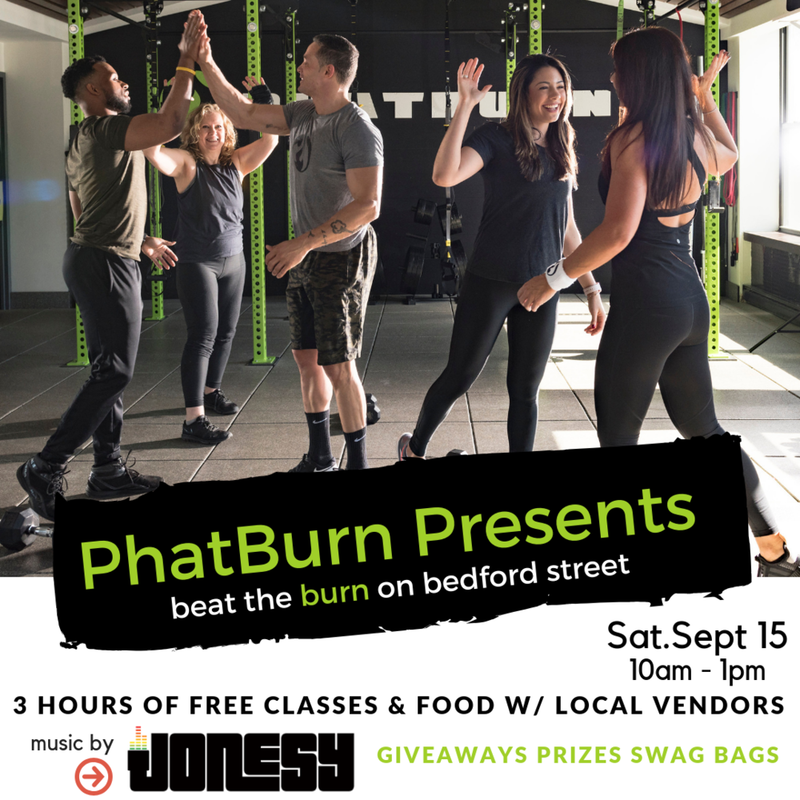 SEPTEMBER 15TH JOIN US IN THE MORNING ON BEDFORD ST. FOR ‘BEAT THE BURN’ BROUGHT TO YOU BY THE GOOD PEOPLE AT PHATBURN. THE DAY INCLUDES: 3 HOURS OF FREE CLASSES, FOOD FROM LOCAL VENDORS & MUSIC BY YOURS TRULY. THERE WILL BE PLENTY OF PRIZES & GIVEAWAYS + INCLUDING SOME SWAG BAGS! HOPE TO SEE EVERYONE OUT THERE! 10 AM START!